Things we like at the CCPS: when younger bands surprisingly dig into our favourite parts of the 90's (Dinosaur Jr, Sebadoh). Things we don't like at the CCPS: when bands suddenly change their name just after we've caught on to them. Empty Heads (formerly the excellently-named Teerjerker) are guilty of both these. This six-song tape by a bunch of guys from Sabertooth and PMMA hits just the right spot for us, with short and sludgy pop songs. We'll forgive the name change, which has probably been why we still haven't seen these guys live. 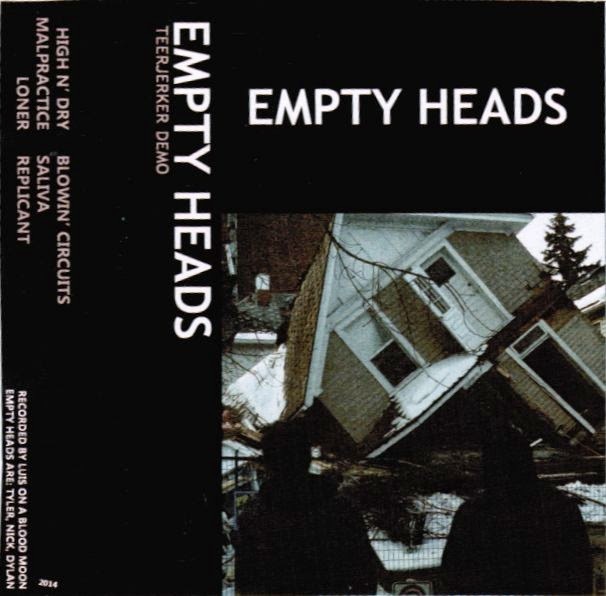 Anyways, you might be able to grab this tape at Sloth - if not, you can download it from the Empty Heads bandcamp.